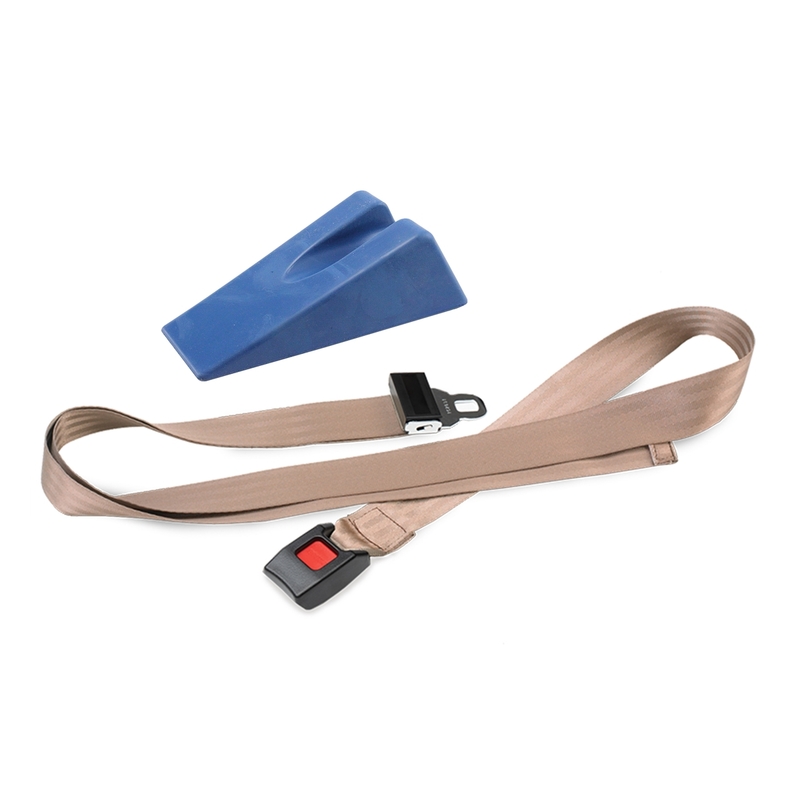 This strap and wedge set is perfect for assisting with patient mobilization during a wide variety of manual therapy applications. Manual therapists will appreciate this patient mobilization set, which offers two of the most popular mobilization tools in one package. The set includes one 8’ Mobilization Strap (item #602-8) and one Kaltenborn Concept Wedge™ (item #612). This durable Mobilization Strap is constructed of woven nylon and features a push-to-release buckle for quick convenience during patient mobilization. The versatile, all-purpose strap can be used on treatment tables in conjunction with the JW Stabilization Clip and JW Overwrap. Measures eight feet in length. Does not include pad. Specially designed for testing and mobilization of the spine and extremities, this wedge’s molded groove relieves pressure on the spinous process, facilitating mobilization via the transverse process while mobilizing the spine. The bottom of the wedge can be used for positioning during extremity mobilization.